When shopping for a humidifier your house needs to be equipped with a powerful house humidifier, which will keep the air clean and fresh. You also need the technology to be silent while operating at night or when your children sleep. However, buying whole house humidifier can be expensive and a time-consuming process. Dive into the topic and examine the positive and negative aspects, look through customer feedback online, and decide what model of whole house humidifier is the most suitable for you and your family. To get a short but comprehensive review of the best whole house humidifier of 2019 produced and acknowledge a couple of important requirements for these products, get acquainted with this article. We will help you to find the answers to all questions and to make the right consumer choice. At first, select the type of whole house humidifier you are searching for – cool or warm mist, or maybe a dual unit would better suit you. If you have any hesitations, you’d better discover the differences between a cool and warm mist humidifier to select the best for your needs. Know more about why some prefer a cool mist when young children are present and why it’s considered safer. Also there are models that can both, humidify and purify the air – they always cost more money, however, they might be worth taking into account. Read more sources to know why too low or high humidity is usually problematic. There are two common types of processes that are used in humidifier to produce moisture, or steam – an evaporation process which is in general the cheapest, and ultrasonic which produces a better water mist. Each type can be used in cool or warm mist models, but ultrasonic appears to be safer because it does not generate a mist by boiling water. Thus the humidifier does not contain hot water and won’t create any danger in case the device is knocked over. A personal humidifier is compact (to 1 liter), so you are able to take it on trips to provide moisture wherever you need though, the coverage area isn’t wide enough. Portable room humidifiers are mostly used in bedrooms and living areas and can have a varying capacity from compact to a large room size. Console style humidifiers are bulky, free-standing devices on wheels. Console models are considered whole house humidifiers due to their larger capacity and effectiveness. Flow-through bypass units are another type of whole house humidifier and designed to be installed on the home’s duct system. To choose the most suitable model for your needs you should consider a coverage area in square footage which the humidifier can cover. You may need to take measurements to determine the room size you are looking for. For a small apartment a model for 700 square feet will be okay. There is a high probability that using too large a humidifier for your room, some amount of condensation will appear that will cause bacteria and mildew. Capacity is usually marked on the packaging. Do not confuse capacity with moisture output, which will be higher. Some humidifiers have two or three built-in variable fan speeds, and others may be equipped with a hygrometer for indicating the humidity level in the room and also a humidistat which can be set to cycle on/off and maintain the level needed. These extra features cost extra, but they are handy to monitor the moisture level and adjust settings. Water reservoirs in humidifiers can vary from 1 liter to 5 gallons or larger. It’s up to you to decide how often you want to refill it. A 1-gallon tank will require refilling after 8 hours of use, while 2-liters will work for 12 hours or so. The durability depends on the speed mode (low or high) and the amount of dry air for faster moisture generation in the room. The product description will usually mark such features. Some water tanks are lightweight, so you can lift and refill them easily, others can be harder to refill. If the weight of a full tank is a problem for you, try to discover the process of removing the tank from the base. Also pay attention to the requirements for changing filters in each model. Some humidifiers are filter-free, so there is no problem. In case there are filters, don’t forget to buy a couple of filters along with your new humidifier because it’s critical to decrease the risk of bacteria and unhealthy air. If you are looking for a humidifier for the bedroom or a children’s room, you must consider its noise level. You should choose one with a low, night, or silent setting. Your humidifier should have at least two settings, high and low. The quietest ones in operation are ultrasonic humidifiers due to the lack of boiling water (hissing) and moisture is spread in a very fine mist. Almost all house humidifiers have filters. Evaporative models are known to have wick filters that absorb particles and dust. Some models, made for removing allergens, have two-stage filtration. Mineral deposits in the water forms white dust that accumulates on the furniture in the house, some good filters can trap these deposits and diminish the presence of dust in the moisture that distributed through the room. Using distilled water in a humidifier can be beneficial for those who have hard water, thus, reducing the build-up of mineral deposits and scum. More convenience is provided by automatic digital humidifier controls. Nowadays almost all models have safety features such as an automatic shut off in case the water reservoir is empty. If there is no information mentioned on the packaging, ask the retailer. Otherwise, you will have to control the humidifier when it runs dry. Another useful feature is a built-in humidistat which will regulate the humidity level in your room. For bacteria growth, all humidifiers require regular cleaning. For simplicity, some models have dishwasher-safe water reservoirs, so look up the product description. The base of the humidifier requires a regular manual cleaning as well. The retailer provide warranties which are generally 1 year, but some models go for longer periods. Select the model you can clean solely as it is more economical than needing service after the warranty’s expiration. It’s important to acquire a separate hygrometer in addition to the built-in humidifier hygrometer, to monitor your home’s moisture level all year. It’s not unusual to use a humidifier at home to add moisture during winter season, when the heating system is operated, however in the spring and fall, an additional hygrometer will help indicate if there are certain areas of the house where excess moisture needs to be removed. You have discovered a variety of whole house humidifier models and processes, and their distinctive features as well. 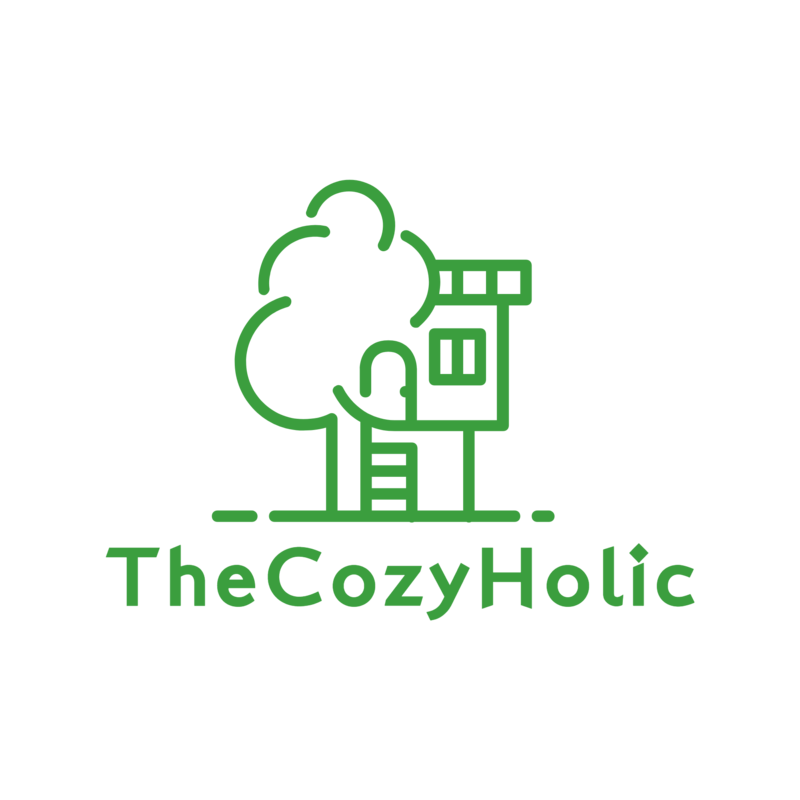 The Cozyholic has carefully selected the best models of best whole house humidifier based on the above points. The LEVOIT Hybrid Ultrasonic Humidifier will fill your place with moist air by featuring cool and warm mist options. Warm mist increases the humidity level 25% quicker. It also displays the actual humidity level. It’s equipped with a sensitive touch control and remote touch control for convenience. Ultrasonic air diffusion provides a quiet humidifying process. Its large capacity allows durable operation for 20-36 hours. It’s designed with a Smart Auto Mode for automatic humidity level regulation. A 2 year warranty is included. This humidifier can read the exact humidity level, so you can adjust to the most suitable level for you. It can easily handle a living room or bedroom, even the whole house due to its high mist output (500 ml/hr). It has a special leak proof design and is less breakable thanks to its ASB plastic water tank material. It’s equipped with the 3 Stage Filtration System: Pre-filter, True Hepa Filter, & an Activated Carbon Filter. It removes 99.97% of dust. For indicating the surrounding air quality, it’s equipped with a smart auto mode, and automatically adjusts the fan speed to clean air faster. For your calm slumber there is a sleep mode that sets the purifier to its lowest setting. It covers up to an average to large living room. Comes with a 2-year warranty and lifetime support. This air purifier meets strict demands and is energy star-certificated, FCC& CE-approved, and seems is eco-friendly, energy-efficient, and quality-assured. It will reduce the amount of dust in your home and make the air clean to breathe. This single device can be used for multiple tasks and serves as a moisturizer, nebulizer, air purifier, aroma diffuser or a simple humidifier. Equipped with a built-in 7 Color LED light, it will create a comfortable and easy-going ambiance in your room. With its 2,8 liter capacity it can continuously operate up to 20 hours at a low rate. Its silent work won’t disturb your sleep, so you won’t be bothered by any extra sound. Its 360° Degree nozzle gives an ability to direct the flow in any direction. This well-designed humidifier can be a solution to your problem. It will make the atmosphere in your house pleasant to be in and also improve the quality of your sleep and mood. This stylish house humidifier can look great with your home décor. It’s equipped with separate buttons to turn on/off and has a night light. The automatic shut-off and its whisper-quiet operation will provide you a good sleep without the necessity to wake up and shut off the device. The night light mode can offer you soothing light and a cozy atmosphere. With a 2,2 liter tank capacity, this purifier can run non-stop for 17 hours. This powerful and stylish humidifier features smart options which make it the perfect solution for cleaning and humidify the air in any house. The 2.2-liter tank will deliver moisture output of 350 mm/hour making it a great solution to get rid of dry air conditions. This premium whole house humidifier offers you a 4.5L water tank and up to 40 hours of continuous use. Due to these features it covers and purifies a standard room. You will hardly hear it’s on, thankfully to its advanced whisper-quiet mist technology. There are 3 mist levels built-in, so you can choose and adjust the best choice for your room. For relaxing and sound sleep, there is an optional night light that can offer you a soothing glow. This model is easy to use and clean. You can also add some oils to fill your room with a favourable aroma while doing yoga, fitness, or for the nursery. Its quiet operation won’t disturb your silence or sleep. This whole house humidifier will provide your house (up to 4,200 square feet) with fresh and clean air. This system in comparison to other units can deliver up to 50 % more moisture. This model also has one of the highest evaporation rates of 0.75 gallons/hour in the industry. It will provide temperature and relative humidity indicators in manual mode as well. This model will create a healthier environment for you and your kids by putting moisture back and making fresh air in your house. You can set it up easily without professional help, simply watch some videos on the Internet. This smart humidifier is highly rated among other similar models. It is a long running and versatile product. It is also powerful enough to humidify large areas up to 600 square feet. With its 1.7 gallon capacity tank, it can run 96 hours on low and also silently as it’s whisper-quiet. Its base and unit is made of antimicrobial plastic which prevent bacteria, mold, and mildew growth. It’s also equipped with a 360-degree rotating mist nozzle, so you can rotate it where you want. There is also an automatic safety shut-off and an alarm when it runs out of water. This compact whole house humidifier will be great for your house, it is also easy to clean and fill the water level. It is great for rehydration of your skin and redundancy of snoring. This compact whole house humidifier needs to be installed in central heating and cooling system ductwork. It’s equipped with an automatic digital humidifier control and provides temperature and relative humidity indicators a vital service in manual mode. It also comes with a drain to flush minerals from the unit. This unit can secure cool air up to 3000 square feet. 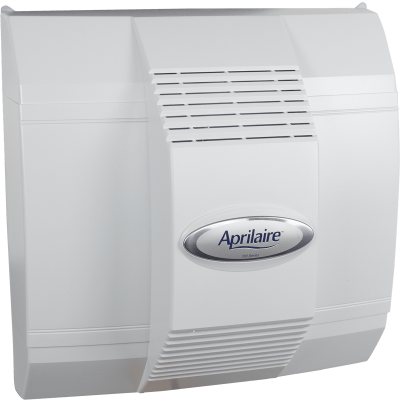 The Aprilaire Model 500 Whole-House Humidifier possesses a built-in bypass damper and is constructed for use in small to mid-size houses with an automatic digital control for good performance and convenience. This whole house humidifier is unique and up to date because of its touch sensitive display. It provides you with 3 mist modes: low, middle, and high, so it’s up to you which to choose. You can get sound and quiet sleep because it’s able to operate quietly for 1-9 hours in sleep mode. It shuts off after time is up. This technology is filter-free and does not require replacement filters. With a maximum 300mL/H mist volume it humidifies a large space up to 300-500 ft² and can work continuously for 12-26 hours. This ultrasonic whole house humidifier allows quiet operation, so no more annoyances while sleeping. It can provide you with effective work and 360-degree moisture distribution thanks to a rotating nozzle. This humidifier’s benefit is that it is able to diffuse 95% bacteria free mist. This model is filter-free. Being equipped with a full 1 gallon tank, it can operate for 24 hours. There are 2 built-in output settings for your comfort. You can also purchase additional accessories as a vaposteam, a humidity monitor, and a cleaning ball. An automatic shut-off is provided. It runs in 2 modes and is very easy to clean. This unit is equipped with a steam vaporizer which heats water. This humidifier will provide you with warm mist and is good for baby nurseries, kid’s bedrooms, or any other place. It will be helpful throughout the winter and increase the amount of warm mist in your place. What is the best whole house humidifier?